Make this New Year a Happy and Healthy One! New Year’s healthy resolutions usually start out strong with high expectations of all the things we should be doing to keep ourselves healthy, happy and focused. Try not to start this year off with additional self- induced pressures. Instead, think about taking small steps and making easy changes over the entire year rather than accomplishing them all in January! Polls on goal setting show that “by mid-February, most people have gone back to their previous habits due to increased levels of frustration and disappointment”. A recent poll by Fortune magazine states “77% of Americans are actively trying to be and eat healthier and only 19% want to do this by being on a strict diet”. Join those who have it right by understanding what changes can lead to a healthier you and keep that attitude throughout the year. 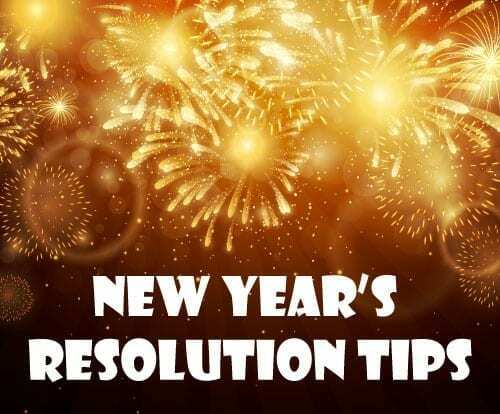 Let’s examine how to make 2016 your best year yet! Happy hour and eating out. Even when the holiday season ends, we are expected to join-in after a hard week at the office for Friday Happy Hour or meet at restaurants for social experiences with friends. Learn to take charge of these happenings by choosing the venue. Find a place where you already know the menu and decide before you get there what you are going to eat. Tell your friends and business associates that you are training for a specific athletic event or need to watch yourself to fit into special clothing for an occasion. This may get them to stop bugging you if you decide to watch what you eat. Many events revolve around drinking alcohol and that can be tricky with diabetes. Initially your blood sugars can drop but the extra empty calories will add weight and up your insulin resistance and blood sugars. Stick to one drink without a sweet mixer. While eating out in the New Year stick to appetizers as your main course and have a simple vegetable side to balance your meal. Choose from a side salad, a green vegetable such as broccoli or spinach, or choose a fruit cup or tomato slices. Order grilled veggies or a baked potato with the fixings on the side and only dip your fork in the fixings instead of slathering the entire potato. Use salad dressing the same way by dipping the vegetables instead of drowning the salad. Add a healthy monounsaturated fat to the meal like chopped nuts, seeds, olives or avocadoes to help with satiation and have a small carbohydrate serving which is whole grain and high in fiber. Add a smart phone app to your phone and check for calorie/carbohydrate count on many food items before ordering. End the meal with a hot beverage including coffee, decaf coffee or herbal tea. This is often enough to keep you from having dessert. Fast food is not off limits if wiser choices are made. Order a kid-sized meal instead of an over-sized combo meal. Choose the grilled fish or chicken sandwich with the bun instead of the double quarter–pounder with bacon, cheese and a side of french fries. Don’t waste your calories on fountain drinks except for an occasional diet soda, unsweetened tea or low-fat milk (which counts as a carbohydrate). Look for farm to table/hook to dish restaurants. Foodies are trying to change the dining experience by demanding more local fresh ingredients which may have been caught today (fish) or pulled from the garden moments before being seated. Think about trying grass-fed beef which is a healthier option with less saturated fat. Many people agree that organic foods that are not treated with antibiotics and chemicals are a safer and healthier choice. When at home. There are so many changes you can make at home to get you on the road towards improved health. Always include a lean protein source at breakfast including either an egg, cottage or string cheese, fresh ground nut or seed butters, Canadian bacon to name just a few. Add a whole grain, high-fiber selection like old fashioned, Irish or steel cut oats to your meal and you have a complete meal to start your day. Put Chia seeds on the oatmeal for an extra boost of fiber and protein which will expand in your stomach and create a fuller sensation. Think about removing restaurant home delivery from your weekend meals and make your own healthy versions of pizza, tacos or Chinese stir-fry with quick easy recipes found online at diabetes-friendly sites. Use more fresh vegetables, natural spices like basil, part skim Mozzarella and whole grain flour. Home meal preparation is much cheaper and has more benefits such as lower sodium and fat content. Reorganize your refrigerator. Just as grocery stores have food placement tricks, use this technique at home. Put healthy choices in clear plastic or glass containers at eye level on the middle shelf. Place hard boiled eggs, watermelon chunks (92% water), cut up red, yellow and green peppers, cucumbers and hummus near the front. Place high-fat cheese, sausage and lunch meat in drawers away from sight. Healthy condiments should be easy to see including mustard, flavored vinegars, salsa and fermented pickles. Place the ketchup, regular salad dressings, mayonnaise and BBQ sauce full of sugar near the back. Fill a clear pitcher with filtered water and add fresh ginger, mint or cucumber slices for flavor and zero calories on the middle shelf. Flavor meats with fresh herbs, citrus slices and no-salt spice mixes instead of rich, creamy sauces or gravies. Avoid energy shots which may elevate blood sugars even when they are sugar free due to the high caffeine content. Pack your own delicious snacks instead of using the vending machine at work. Avoid the office manager’s desk with the candy/cookie jar and bring bars that contain only fruit and nuts. Carry or leave individual bags of popcorn or cups of unsweetened apple sauce which does not require refrigeration. Make special desserts by grilling apples, bananas or pears with cinnamon, nutmeg and vanilla or almond extract. Freeze grapes and eat them with a dollop of Greek yogurt. Forget about the boxed or bagged dessert treats. Use the half method in all recipes and your family will never know- 1/2 whole wheat flour with 1/2 white flour, 1/2 Greek plain yogurt with 1/2 sour cream, 1/2 lean turkey with 1/2 ground beef, 1/2 mashed cauliflower with 1/2 mashed potatoes, 1/2 spaghetti squash with ½ regular pasta, 1/2 shredded carrots with 1/2 ground beef, 1/2 mashed beans added to taco meat, sloppy Joes, chili meat or Shepherds’ pie. Keep super hydrated with fresh water to decrease bloating. After alcohol and salty foods there is an imbalance of electrolytes which may add excess water weight and drinking more fluids can help this. Be active. Being healthy is much more than just eating right whether you have diabetes or not. By moving, you will stabilize blood sugars, decrease insulin resistance, increase insulin sensitivity, build bone mass, improve mood and memory, possibly lower your cancer risk, lower blood pressure and blood fats, develop strength and endurance and increase circulation. “Active” means doing anything more than you already do. Any added exertion can make a positive change. Always check with your health care provider before starting a program since your medication needs may vary and to rule out heart/lung conditions. Start by walking at home, in the park, on a treadmill or at a track. Watch TV exercise shows or purchase exercise DVDs. Take a Pilates class with a reformer. Learn to kick box, do yoga or karate. Find a ballet bar class for stretching even if you have never done something like that before. Mix it up with resistance training by using resistance bands, balance balls, kettle bells, free weights or gym machines. Even use your own weight by doing planks. A weight and aerobic program combined together is the best plan. Healthy mental daily living. Start and keep a “to do” list whether on your computer, phone or piece of paper. Use the list to prioritize what you need to do now and what can wait. This can help reduce your stress level and improve your state of mind. Figure out ways to make an errand more time efficient. Prepare meals for the week and freeze them. Order products online, order medications online for a 3 month supply, have your dry cleaning picked up if the cost is feasible, ask a neighbor to help mow the lawn or shovel snow. Do your banking online. Split up tasks among the members of your household so not everything is on you. Learn a way to end the day on a personal high note. Deep breathe or meditate. Pray or show gratitude. Read a book or magazine. Watch a favorite show for some quality “ME” time. Decrease body tension. Look at ways you hold your tension and work on them this year. Understand where your stress is in order to make a change. If you clench your jaw, try placing your tongue on the roof of your mouth which should relax your jaw. When you slouch in your chair, you use more energy than when you sit up straight. Focus on what body part hurts at the end of the day to see where your tension is held. Make sure your eye glass prescription is right if you keep getting headaches. Natural outdoor light as well as fresh air can be a stress diffuser and an energy/mood booster. Find 5 minutes to get outside or at least look through a window. Natural light can also make you less sensitive to blue light found on computers, tablets, laptops and smart phones. Take a 2-minute walk to feel better and do your body good. Appointments and medication. These are just as important to your health as eating right, exercising and following up on mental stress. No one can make your medical follow-up appointments or screenings except you. No one can attend the actual appointments except you. Remember to include annual eye, dental and foot screenings as well as primary and endocrinologist appointments as needed. Make sure to take your medication correctly by asking your MD or pharmacist. Taking medication incorrectly is often a waste of time and money and could possibly cause unnecessary side effects. Do not run out of medications or diabetes supplies. Stay on top of your own health by being pro-active. 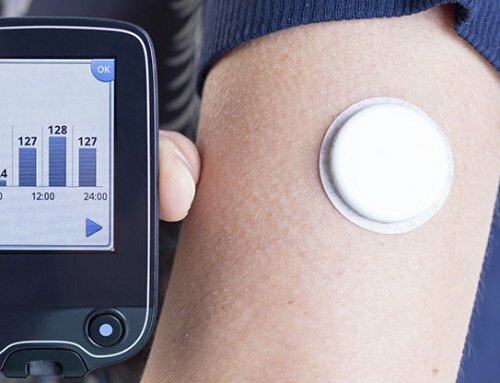 All these techniques can help you avoid diabetes complications. These are some simple things you can do to start the year off right. As you know, baby steps are the first steps we take that lead to eventual bigger steps and success!